Sechelt real estate has enjoyed an increase in values in the last couple of years, but there is still excellent value in the area. Let our knowledge of the beautiful Sunshine Coast and our experience in Real Estate transactions help you find the perfect property. We offer Free Market Appraisals. View Our Online Listings ! You can also Contact Us by email and we will be happy to provide you with our highly personalized real estate assistance. Housing consists of average size residential lots with homes, condominiums, town homes, waterfront, acreages, and farms. There is something for everyone here and it is still very affordable in comparison to Vancouver. There are several opportunities at the present for waterfront residential lots, waterfront townhomes, and residential subdivisions. A few of the current developments have websites, one of the most beautiful property being offered is in a development called Silverstone and it is being marketed by Sotheby's Canada. Silverstone is one of the few waterfront residential communities on the Sunshine Coast. Another Sunshine Coast Development in its early stages is The Trails you can get more information on this project at their website, The Trails. Be sure to stop by one of the local realtors offices, and you will be able to pick up a copy of the monthly real estate paper, and "hot sheets" which have the most recent listings since the paper was published. There are many different opportunities as I mentioned, from cottages to executive homes, commercial buildings to industrial real estate. 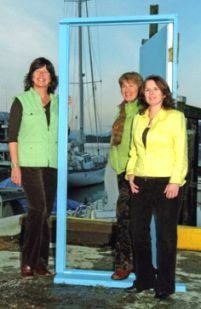 Hopefully you find your dream property in the Sechelt area.